Goodman’s attorneys are arguing that because the state’s laws for drawing blood don’t adequately protect the rights of the accused; they don’t specify, for example, the type of needle that the person drawing the blood should use, or how the person should apply a tourniquet during blood draws. 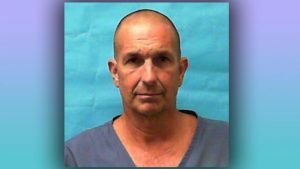 Medical experts who served as witnesses for the defense during Goodman’s first trial testified that the small needle that a nurse used in his case likely compromised the blood sample. The prosecution denied that claim. The defense has also questioned if the state’s laws contain adequate safeguards for defendants regarding the way that analysts screen blood samples, document irregularities and reject unfit samples. Goodman is hoping for a third trial in the case. If this appeal doesn’t work, he may have another opportunity to win a new trial because of the misconduct of one of the jurors in his first trial.